Solid-colour eggs? Yawn. 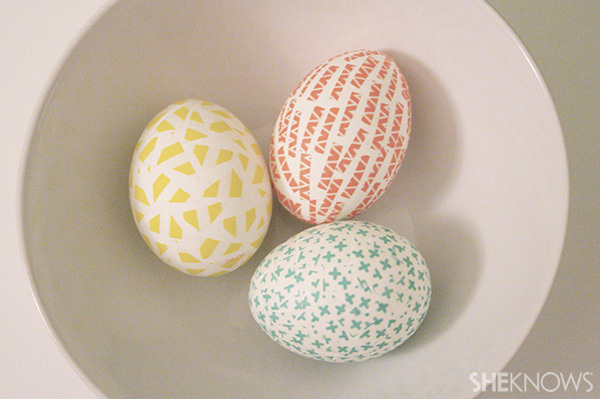 Think outside the egg you paint this Easter with these five creative DIY Easter egg tutorials. 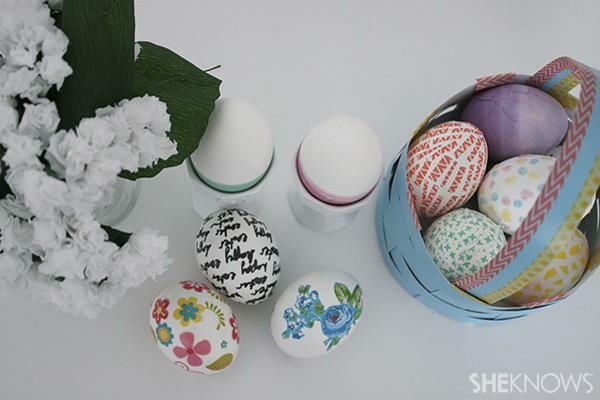 Get your kids involved and use washi tape, glitter, pens, glue and paint to make your Easter egg basket stand out. Easter is a time for family fun and sprucing up your house with colour. But before you reach for the egg dye free your mind from tired Easter conventions. Why should your decorating be confined to block colours? Especially if you consider there are five easy ways to get your Easter eggs looking sensational. Based on the design of your washi tape, decide which kind of pattern you’d like to cut it into — triangles, stripes, circles, diamonds or whatever else strikes your fancy. 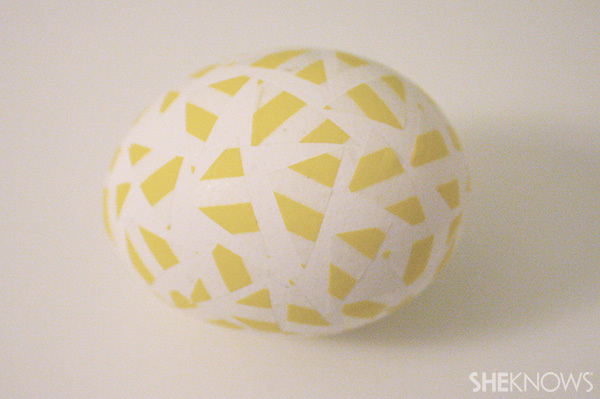 Then, beginning with one side, cut and stick the washi tape on to an egg. 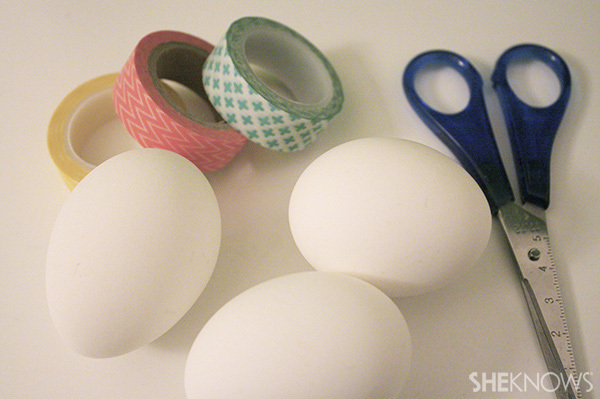 Work your way around the egg, sticking the washi tape in the same style or pattern until the egg is completely covered. 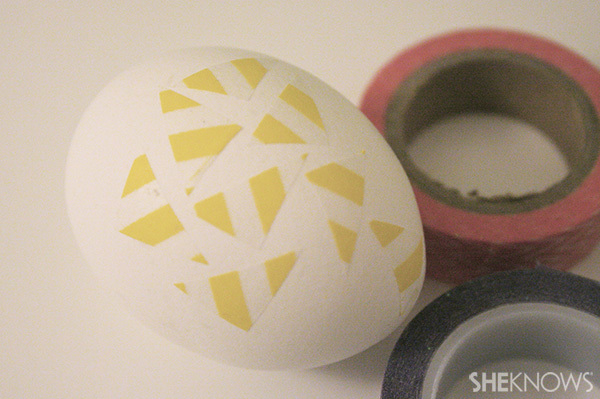 Follow steps 1 and 2 with the other washi tape designs, using different shapes until your house is filled with Easter cheer.